Machine grade polycarbonate is a transparent amorphous thermoplastic which offers very high impact strength and high modulus of elasticity. The material has a 290°F (145°C) heat deflection temperature at 264 psi, absorbs very little moisture and resists acidic solutions. 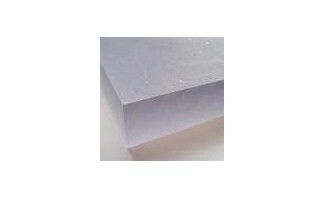 These properties, in addition to good electrical characteristics, make machine grade polycarbonate stock shapes an excellent choice for electrical/electronic applications. Its strength, impact resistance and transparency also make it an ideal material for certain transparent structural applications such as sight glasses and windows.